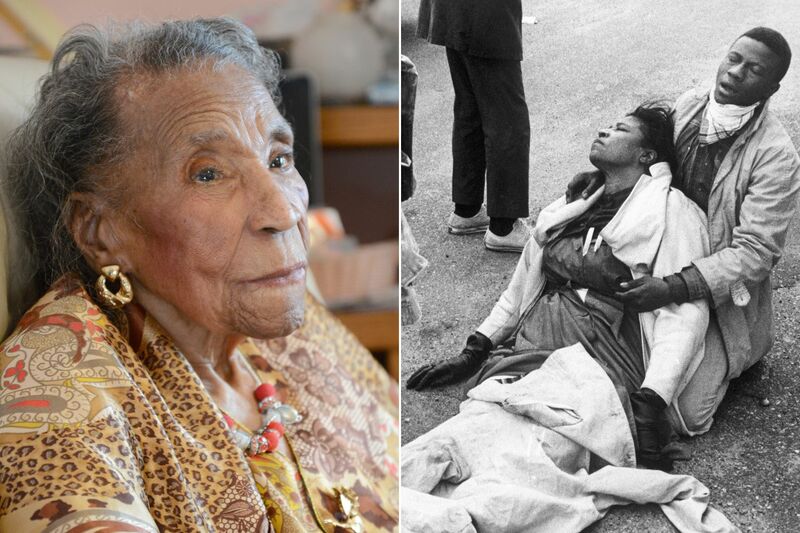 We are saddened to learn that civil rights pioneer, Amelia Boynton, died this morning and yet we are inspired and encouraged by the legacy she leaves behind after 104 years on this earth. On March 7, 1965, when approximately 600 protesters attempted to march across Edmund Pettus Bridge and were blocked and attacked, Boynton was beaten unconscious. The photo of her on “Bloody Sunday” along with the photo of her with President Lyndon B. Johnson at the signing ceremony for the Voting Rights Act of 1965, still resonates today. Amelia Boynton, because of YOU we can and we will. Rest in power.